Three-week-old Kahleel Clark-Smith was born with a condition, dubbed the "worst disease you've never heard of," which has already caused him to lose 60 percent of his skin. Kahleel has been diagnosed with epidermolysis bullosa, an incurable genetic disorder that causes skin to be extremely fragile and often blisters, leaving raw sores that are susceptible to infection. "We found out the day he was born and didn't know anything about it. We had to do all the research at home. We were so heartbroken. Even a cuddle or a kiss can cause his skin to blister," Smith said. Kahleel's parents Kadyem, 22, and Kyera, 20, are raising money to have him flown to a specialist EB center in Cincinnati, Ohio, from Seattle's Children's Hospital because insurance won't cover the trip. "We found out last Thursday that he has the worst type of EB, which devastated us yet again," Brandi Smith, Kahleel's aunt, told InsideEdition.com. Smith said that 87 percent of babies who have "Junctional" EB don't survive past the age of one. 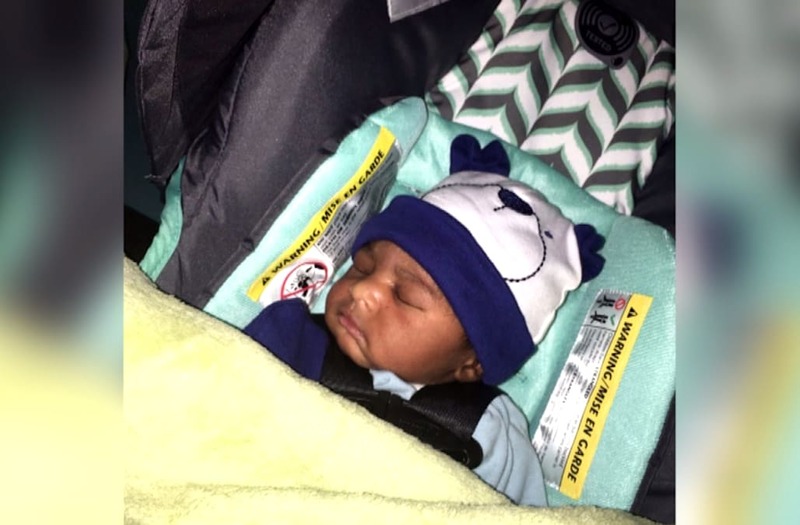 Smith said the Naval Hospital in Bremerton, Washington, where Kahleel was born, diagnosed Kahleel's case as mild and sent him home. "The hospital had never seen a case like it and there was a lack of understanding on what to do and it seems to have gotten worse," Smith said. Kahleel has since developed a staph infection, which he's recovering from, and has been fighting fevers on and off. "We've been trying to do whatever we can to get a medical flight and the insurance is standing in the way," Smith said. Smith has started a GoFundMe page to raise the $30,000 to cover the medical flight to get the newborn to the hospital. "It's their very sad story. We are hoping for a miracle. This is their first child and maybe their last because this is genetic," Smith said.